We know how the life, if not the novel, ended. In December 1962, after her marriage with Hughes had broken down, Plath moved herself and their children from the family house in Devon back to London. She moved into a flat at 23 Fitzroy Road, a house once occupied by W. B. Yeats. In the early morning of 11 February 1963, Plath put some bread and milk in the bedroom of their children, Frieda and Nicholas, opened their window to let in a small breath of air, then sealed their door with damp cloths. Plath went downstairs and sealed herself similarly in the kitchen. She put her head in the oven, turned on the gas, and killed herself. The 1962 notebook and a typescript. Both “disappeared”. What does that mean? As Plath and Hughes were still married at the time of her death, and she died without a will, Hughes became the heir to Plath’s estate, and all her belongings. Over the years, he was often accused of withholding certain papers, just as he had burned the journal. Ronald Hayman, in The Death and Life of Sylvia Plath, says that Judith Kroll saw an outline of the novel, titled Doubletake and later, Double Exposure. Like so much of Plath’s work, the writing had its origins in biography. Hughes had begun an affair with Assia Wevill while Plath was in Devon, and his infidelity hurt her bitterly. 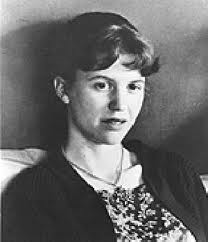 Plath wrote to a friend that the novel was “semi-autobiographical about a wife whose husband turns out to be a deserter and philanderer”. Missing Plath novels do turn up occasionally. In 1999, a team working in special collections at Emory University in Georgia, which acquired the library of Ted Hughes, discovered two chapters of an early novel called Falcon Yard. Falcon Yard is the place in Cambridge where, in 1956, Plath met (and, famously, bit) Hughes. The novel would have fictionalised their life together. It was never completed. The disappeared typescript was a draft of a novel, not a finished work. Would Sylvia herself wish us to read Double Exposure in its raw state? She burned many manuscripts. But not this one. Or that missing journal. This entry was posted in Disappeared manuscripts and tagged Double Exposure, SylviaPlath on 20 September, 2010 by Horatia.